We got a special delivery at the beginning of this week from the one and only, Santa Claus!!! They were in awe by this little delivery even in second grade. Even my non-believers had that twinkle in their eye. 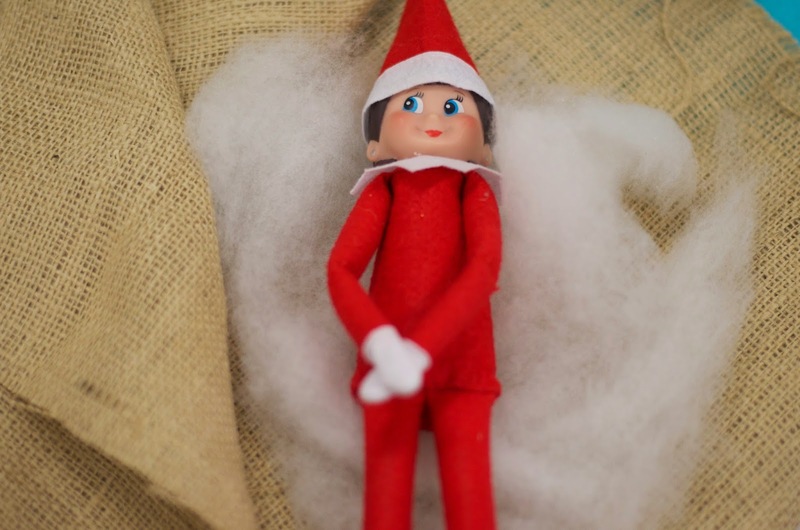 ;) Thanks to Cara Carroll for her cute Elf on the Shelf download. They decided to go with the name Anna in keeping with their Frozen obsession. I had to talk them out of Bambi and Little Red Riding Hood. Where they come up with these things, I can't figure out! The kids got incentive cash for good behavior, so she had to get some, too. Then, she started making her list for Santa Claus later in the week. 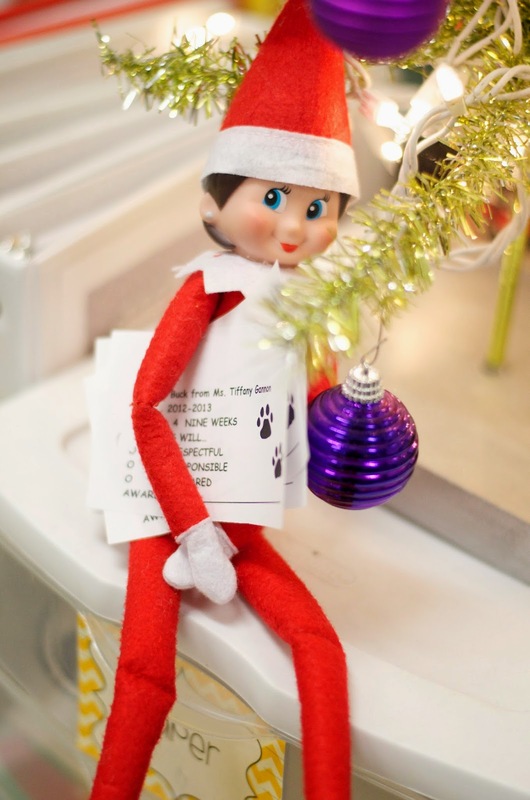 They were pretty worried when the list was gone the next day and they didn't get to see who made the nice list! We go to school only until about 10:00 next Friday, so we always do our Christmas parties on that abbreviated day. I have had to miss a lot this year with sickness, so I wanted to make it up to them with a big party! 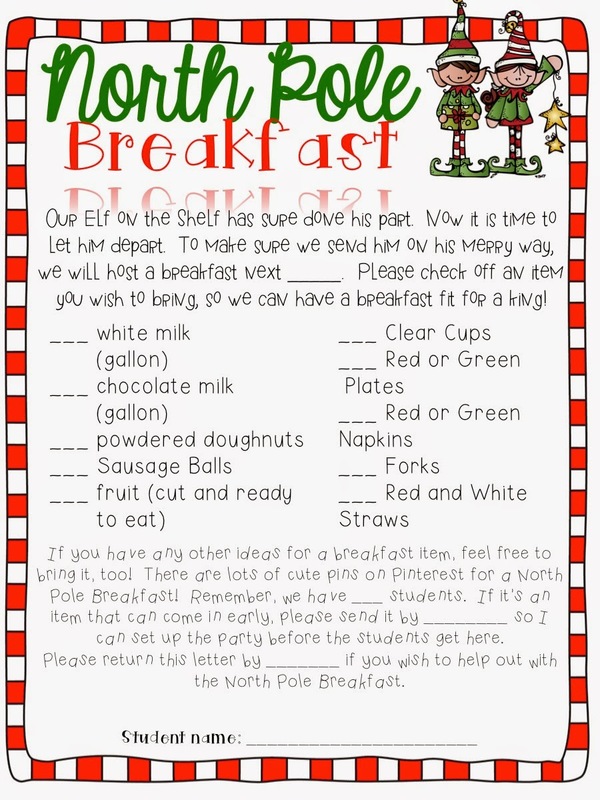 I decided we would do our own version of a North Pole breakfast in our classroom. 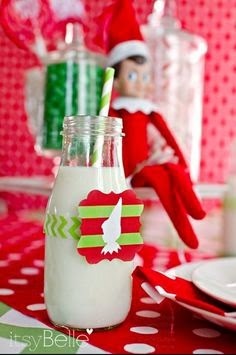 Instead of doing a breakfast to welcome our Elf, we are going to do one to send her away. 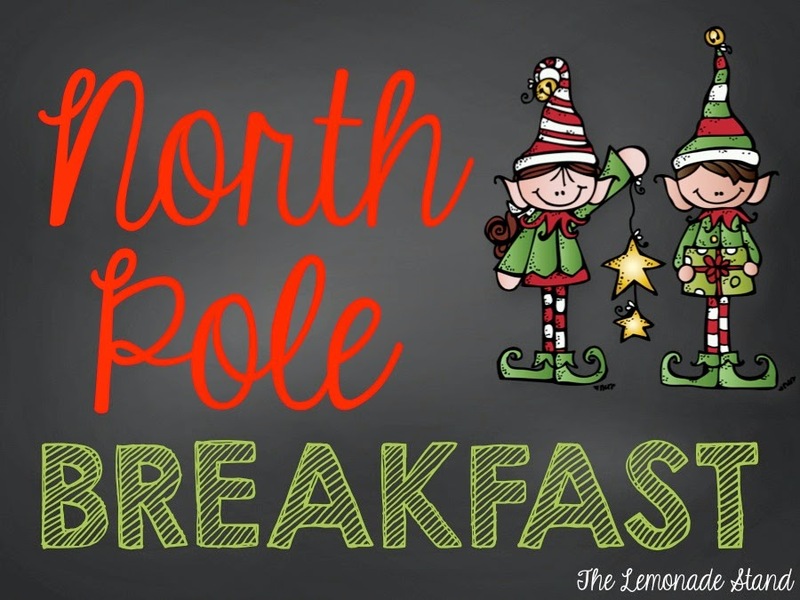 I have seen so many cute North Pole breakfasts on blogs, that I couldn't resist throwing one of my own. I have been pinning some ideas for decorations and food. You can click any of the pics below to see the original sources. I love the trees in this one. We aren't doing hot cocoa that day but are doing that a couple of days before. 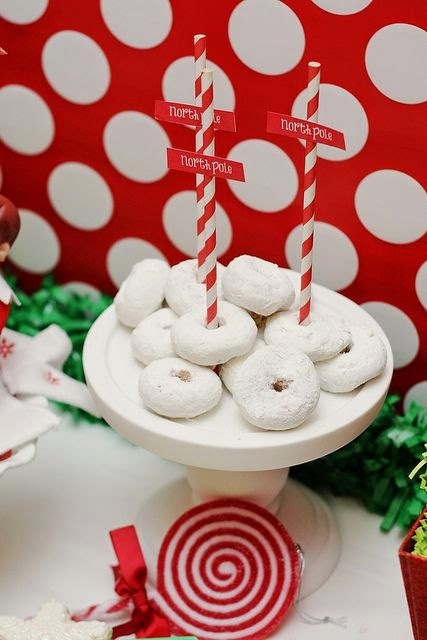 We have to have these little doughnuts! How clever are they?! 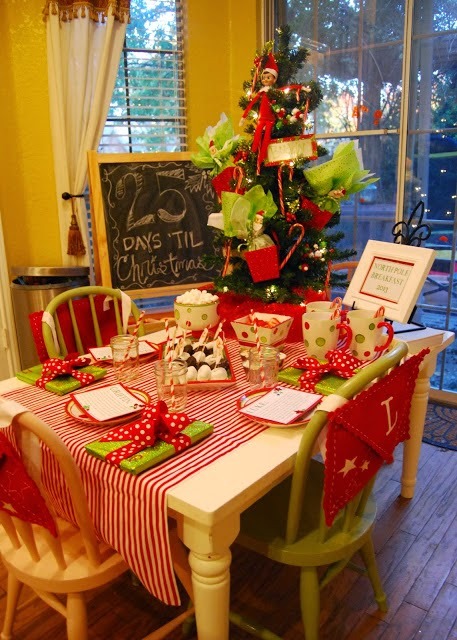 I love all the red and green in this one with the chalkboard. This is the color scheme I am going for at our breakfast. This milk is just darling! I am not going this far, but we are doing clear cups with the paper straws. You can find the letter below that I have sent home to my parents. I have included it along with some other versions for a boy elf and versions with blanks to fill in. 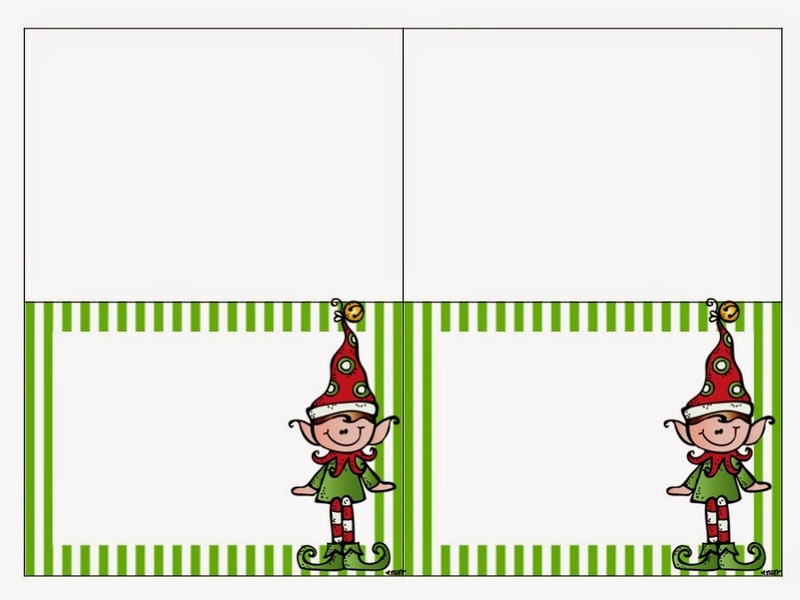 You can click the letters to download your own if you need a quick idea for a Christmas party. 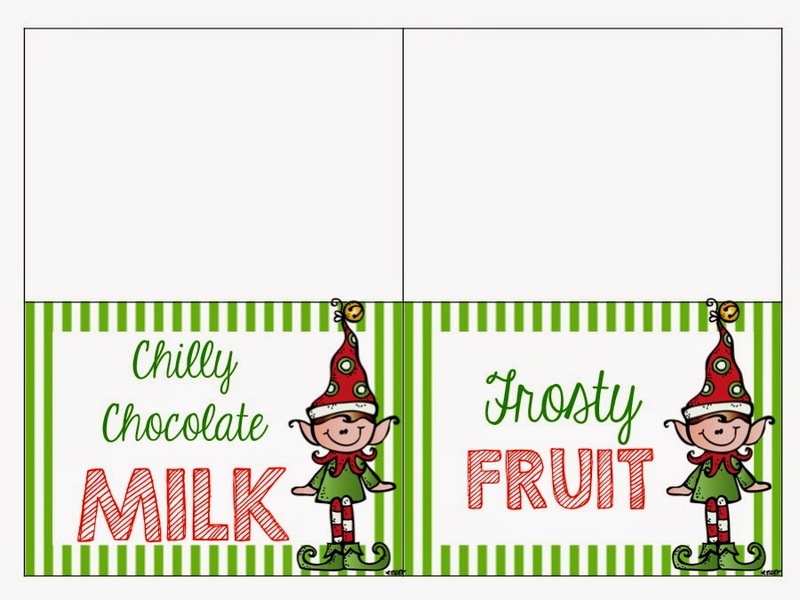 You can also download the labels I have made for the food. 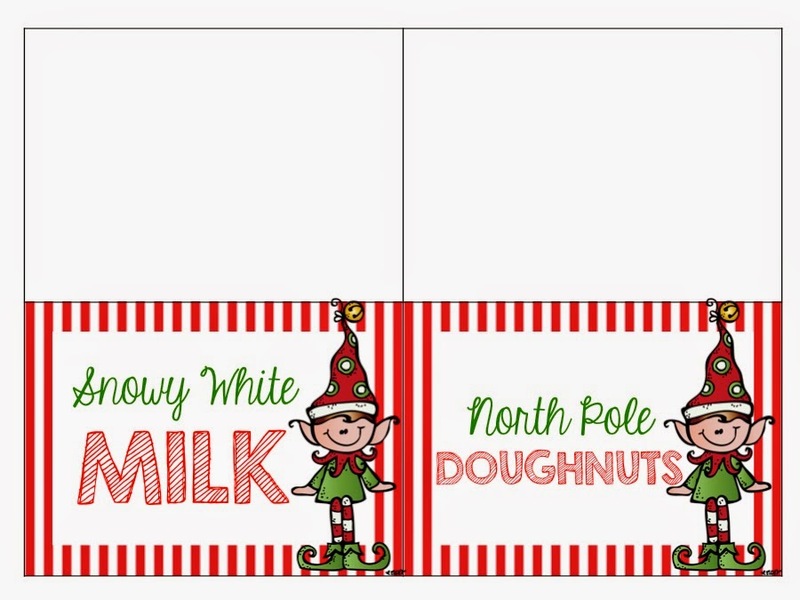 They are a foldable and should be printed on card stock so they can stand up on their own. 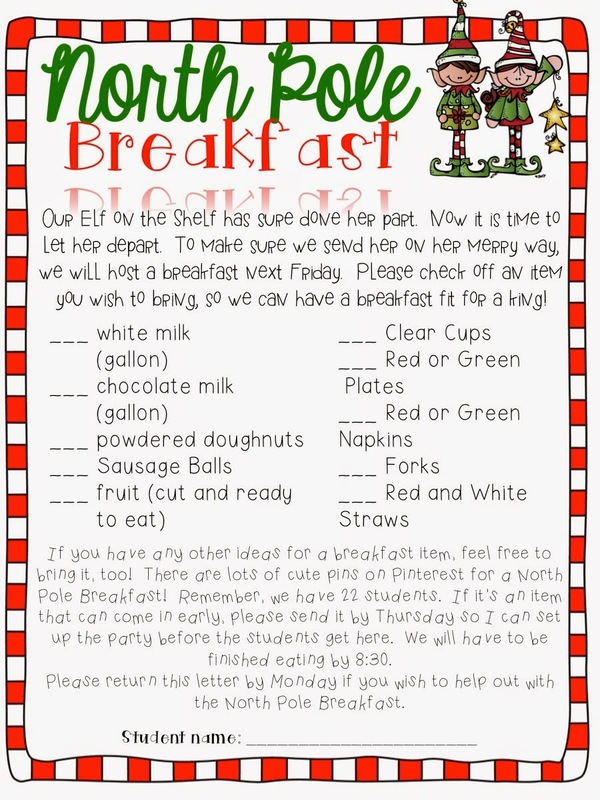 I can't wait to share photos of our very own North Pole Breakfast! 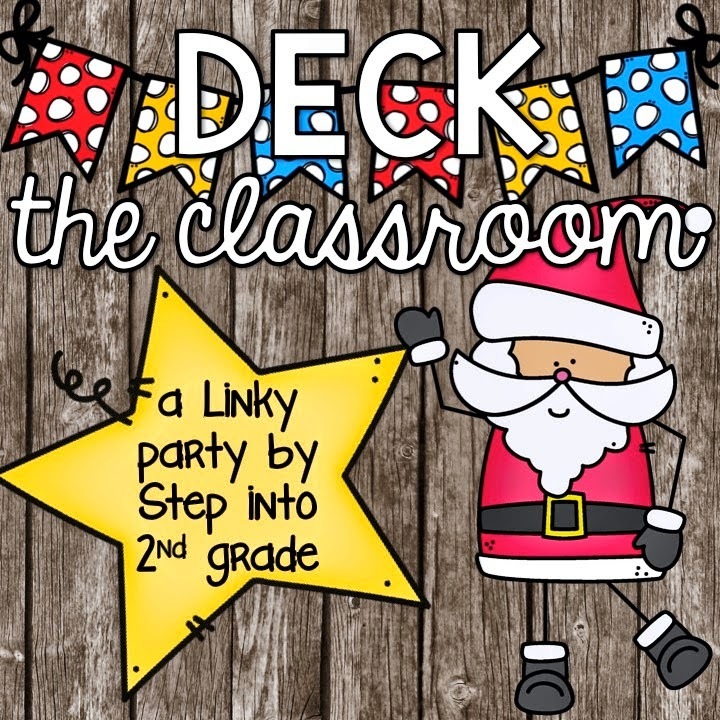 Thanks to Amy for hosting a fun Christmas Linky! 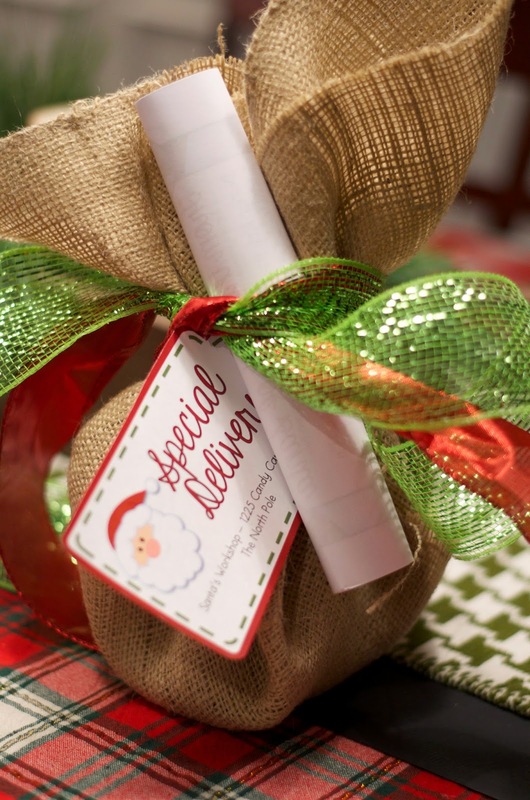 Be sure to stop by her blog to see what everyone else is doing in their classrooms to celebrate this fun season! 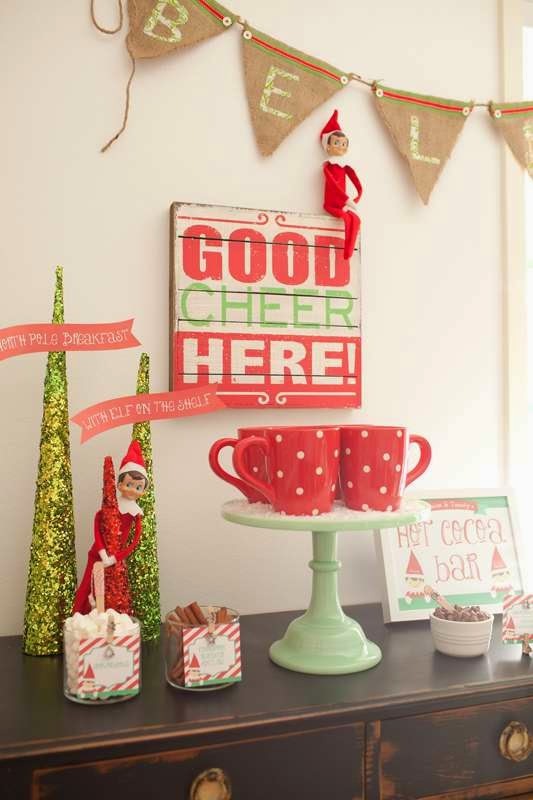 I'm just going to have to get an elf for my classroom next year!!! I love all of this! Can't wait to try a few of your ideas.